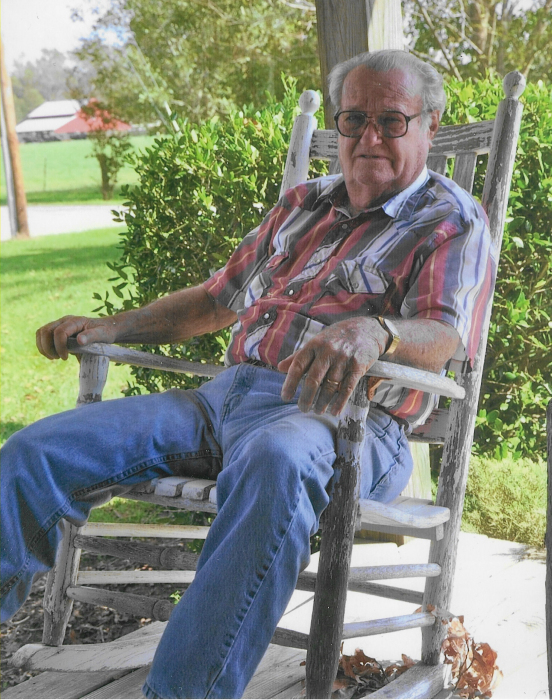 Henry "Knocker" C. Moore, Jr.
Henry C. “Knocker” Moore, Jr., 92, of Comfort passed away on Wednesday, March 20, 2019 at his home. Henry was a loving husband, father and grandfather. He served his country in the United States Army. He retired after 37 years from Civil Service as a Welder at Camp Lejeune. He was owner of Moore’s Grocery and Grill in Comfort. Enjoyed spending time with his family and friends. He was always willing to lend a helping hand. He was loved by all and will be truly missed. He was preceded in death by his parents, Henry C. Moore, Sr. and Myrtle Andrews Moore. He is survived by his wife, Betty Moore of the home; daughters, Cheryl Register and husband Dwight of Clinton, Deanna Mercer and husband Ted of Pleasant Hill; grandchildren, Brittany Pickens, Joshua Johnson, Holly Lagos, Mark Henry Cannon and four great grandchildren. In lieu of flowers, donations may be made to Pleasant Hill Christian Church, 4306 Pleasant Hill Road, Pink Hill, NC 28572. Visitation will be held 2:00 p.m. to 3:00 p.m. Saturday, March 23, 2019 at Garner Funeral Home. Funeral service will be held 3:00 p.m. following the visitation with Pastor Lynn Maxwell officiating. Graveside with Military Rites following at Trenton City Cemetery. The family would like to express their appreciation to Community Home Health and Hospice and to the many friends for their acts of kindness.